A high mobility single subband occupancy InSb/InAlSb quantum well was grown by molecular beam epitaxy. 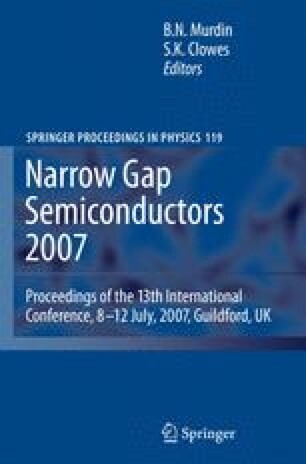 The low-temperature, high-field magnetotransport properties are measured as a function of gate bias. Spin-resolved Shubnikov-de Haas oscillations are observed. A preliminary analysis of the Shubnikov-de Haas oscillations indicates a strong gate bias dependence of the Rashba spin-orbit term.